Daniel Radcliffe’s £17,000 mattress…Akon’s very own diamond mine…Kim Kardashian’s Louis Vuitton bin – just some of the ‘necessities’ today’s celebrities have purchased with the loose change hanging around in the bottom of their piggy banks…We’ve all been there, sitting on the sofa whilst watching our favourite TV shows whilst innocently thinking to ourselves, “I wonder just how much they earn?” Well, today is your lucky day my friends, wonder no more. Think soap stars, TV presenters, reality TV personalities, and maybe the odd royal thrown in for luck! We are going to uncover the juicy earnings of them all. So buckle your seatbelts and get yourself comfy, as we unleash some rather (or extremely) controversial personal information on our fave stars – in the words of Taylor Swift, are you ready for it? She’s one of the original home bakers to be on television, and she’s won the nation’s heart. She is the original judge from The Great British Bake Off, when it was on the BBC. She is said to have a net worth of around £15 million! As shocking as a risen souffle. She was apparently given a huge pay rise to move to Channel 4, but turned it down. Sass Queen. And that makes thirty! Now – where do we sign up to become the UK’s next top TV Presenter? She is well known for being one of Holly Willoughby’s best mates, but has some other pals too! It has been recently reported that the BBC Radio 2 presenter is worth just £2 million! It’s a lot less than best mate and fellow Celebrity Juice host, Holly Willoughby. Wonder how much Keith Lemon gets? For example, she now has a range of adult and children’s book, and has a children’s clothing range with the high street chemist, Boots. Cotton is now married to Jesse Wood, son of the Rolling Stone’s Ronnie Wood, and they have two children together. Bet this has bumped up her income! He is the host of perhaps the most outrageous show on daytime TV, but how much does he earn? The host of his self-titled show apparently gets £2 million a year for his show. He first started on the radio, where he hosted a show on Taunton’s Orchard FM. Yes Jezza, we know about that! He moved onto the broadcaster ITV in 2005, which was the beginning of his television career. In 2014, he signed another contract with the channel, which made sure his show remained on the air. Do you think that is enough money for our favourite day time TV show host? She’s our all time favourite The Only Way Is Essex star, and she doesn’t just have that TV show under her belt. Being a regular on TOWIE gives Gemma a healthy sum in her pocket every day – with it being reported that she earns £10,000 per episode. The ‘GC’ also owns her own clothing store in Essex – known as a ’boutique’ store – which is designed for plus size women. Well, erm, babes, get excited to see the ‘GC’ on next year’s series of Dancing On Ice…that figure will no doubt increase. He’s one of our favourite TV chefs ever – sorry, Jamie! – and is also known for being on Celebrity Juice. Yep, that’s John Barrowman snogging Gino! Gino was born in Torre del Greco, Italy in July 1976, but moved to London at 19. He is apparently worth £10 million – the same as fellow Celebrity Juice team member Holly Willoughby! The Italian stallion is a house chef on the day time TV show, This Morning. He also has a new TV show with fellow chef Gordon Ramsay, and star of First Dates, Fred Sirieix. We’d shimmy for that too babe! Goodness only knows just how much money that will make the famous Italian TV chef. She has been on our box since 1992, and has most famously presented Big Brother. The 51 year old is apparently worth £2 million – but that’s not all she has going he TV presenter is said to have multiple properties, and they’re not just in the UK! Who’s that love, the cleaner? Her home in Surrey is reported to be £1 million, and she also owns a Grade II Georgian house worth an astonishing £4.3 million! She also has a summer villa in St Tropez, that is said to be worth £1.5 million. Alright Dav o need to show off. No wonder she puts out so many fitness DVDs with all those houses to take care of! Get yourself buckled in for some major controversy that’s about to be exposed! It’s a bumpy one. The internet blew up when it found out that The Great British Bake Off was moving from BBC to Channel 4. However, Hollywood wasn’t as upset about it. Seeing as he got a large pay rise. Ch-chang! … a sheer £1.2 million over three years at Channel 4; which works out at £400,000 per series! He knew what he was doing there didn’t he – question is, is he forgiven? Strictly Come Dancing is back on our screens every Saturday night, which, in turn, means that so is Claudia Winkleman. Rumour has it that our favourite real life oompa-loompa is the highest paid female presenter. It has been revealed that she earns something between the realms of £370,000 and £379,999. Not only does she co-host Strictly, but also hosts a radio show for the BBC, and writes multiple newspaper columns. Although that sounds like a lot of money, it has actually reduced since last year, when she earned between £450,000 and £499,999. If she is the highest earning female presenter, I wonder how much Tess Daly gets? He’s our favourite tea time game show host – it’s the one and only, Bradley Walsh. It has been reported that the former Coronation Street star has around £6 million in the bank. He is appearing in the latest series of the BBC’s Doctor Who, as Jodie Whittaker’s side kick. Nowadays, he is perhaps best known for presenting the ITV tea time gameshow, The Chase. And although the contestants get to takeaway a lot of money, we didn’t realise that Walsh did too! I think we can all agree that without him, The Chase wouldn’t be what it is today. After her appearance on Strictly Come Dancing in 2013, Reid made the move from BBC to ITV. At the time, it was reported that the news presenter was given a £1 million salary for Good Morning Britain. Although, some sources have said that this information is false, and she didn’t get near that. If it wasn’t a high price tag, then maybe it was because of a rift between other co-presenters? Looks like a lot of dancing is happening there… not! I wonder just how much her new co-presenter, Piers Morgan, gets for Good Morning Britain? He is best known for being the ‘hard man’ and is also the father of one of this year’s Love Island winners. These days he is best known for playing Mick Carter, the Queen Vic landlord, on the show Eastenders. However, he has also tried a spot of theatre, appearing in three Harold Pinter plays. Questioning some life choices there, mate? It has been reported that the 40 year old soap star is worth £3.8 million. Some of that money comes from voicing Kent Paul in the video game, ‘Grand Theft Auto’. With his on screen wife – or is it ex-wife? Soaps eh, how on earth is anybody expected to keep up with all of the drama? Keegan is best known for starring in Coronation Street and being the wife of TOWIE star Mark Wright. When she was on the soap, it has been reported that she was on an annual salary of £60,000. Her net worth is apparently £2.7 million. And with her hubby’s pay packet, that sounds very wealthy to me. Keegan has a clothing line with the luxury high street brand, Lipsy; which is said to pay her £250,000. The brunette beauty also has a highly profitable company called Rosia Promotions Ltd, which is worth £1 million. He is arguably the most controversial person on this list of celebrities. Are you ready? He is the co-presenter of ITV’s morning news programme, Good Morning Britain, with Susanna Reid. He is apparently paid £1.1. million for Good Morning Britain, which is £100,000 more than Reid. If anything, I reckon she should be paid more than him for simply putting up with him! So ITV have paid both of their lead female presenters less than their male co-presenters – wonder why? She is famous for being the first ‘commoner’ to marry into the royal family, but her common status doesn’t mean she grew up poor. However, when she married her Prince ‘Charming’ (quite literally) not did her status increase majorly, but also her wealth. It has been reported by sources that the Duchess of Cambridge is worth £5 million. Her money is also mainly in cash, seeing as she doesn’t have any major investments like art or property. Maybe you should start thinking about investing some of that mular Duchess; it’s a sensible move, trust. He’s best known for being the meanest judge on TV – even more than Strictly’s Craig Revel Horwood. Cowell owns Syco Entertainment, the brain child behind well known shows such as The X Factor. Rumour has it that Cowell is worth over $400 million! The most expensive person on this list. Last year Cowell took home a tidy £72 million. We couldn’t even dream of owning that tidy little sum. However, he is known to come from humble beginnings, and made this his life all by himself. So we say…fair play Simon – if you’ve got it flaunt it. And you’ve definitely got it huni. Nolan got her rise to fame from being part of the family band, The Nolans. These days Nolan is best known for being on ITV’s Loose Women, and having a column in the magazine Best. She is said to be worth around £4.2 million, which isn’t bad going in our opinion! Nolan has been in the Celebrity Big Brother house twice, and won the show in 2017. However, it didn’t come without a fight – as she came to blows with fellow housemate Kim Woodburn. Ever heard that three’s a crowd, Janet? The pair tried to reconcile their feud in 2018, but unfortunately came to no avail. The Chelsea star rose to fame status on the E4 reality show, Made In Chelsea. Before he was a household name, Matthews worked in PR and as a foreign exchange trader. The star is said to be worth almost £3 million. Which, considering he used to go out all the time with his friends on MIC, isn’t that shabby. Who can forget the famous Mackintosh? Matthews starred in the reality show from its debut in 2011 and quit the show in 2015. The former bad boy recently got married to Irish TV presenter, Vogue Williams – whilst she was carrying his child! The newly-married pair welcomed their son, Theodore, into the world in early September. He looks just like his dad! You can’t do one Strictly Come Dancing presenter without doing the other one too right? The former model is said to have earned less than her co-presenter last year, by a shocking £100,000! Which is surprising, when you think that Daly has been presenting the show since its debut in 2004. Overall, the TV presenter is said to be worth an estimated £3 million. Just imagine if she’d been paid as much as Winkleman. With her fellow TV presenter husband, Vernon Kay, I bet their lifestyle isn’t all that bad. I wonder if she will get a Christmas bonus from her Strictly Come Dancing bosses?! It’s been one hell of a year for one half of the most famous duo on TV. When the star appeared in court for a drink driving charge, it was revealed that he earns £130,000 a week. The pair are best known for their TV shows and advert appearances, which have made McPartlin a lovely £62 million! Although, his recent wild antics have cost him a pretty penny – and then some! He reportedly had a £20 million advertising deal with the car brand Suzuki, but for obvious reasons, that has been pulled. And with Holly Willoughby having taken his place for this years I’m a Celebrity: Get Me Out of Here!, that’s another big pay package out the window! I told you we would throw in a couple of royals! And who better than the newly pregnant Duchess! She is reported to be worth over £3.5 million – which is mere pennies compared to her husband. The mother-to-be is said to have earned £37,000 for just one of her Suits episodes. When you take that into consideration, it’s been reported that she earned £330,000 a year for being on Suits; which includes her brand endorsements. But now that she has given up acting, where is she going to get her money? So what do you think the pair will name their new little Prince or Princess? O’Leary is best known for being a radio presenter and for hosting the TV series, The X Factor. Which will see him earn £8 million over the four years. Erm, yes please Simon! The BBC Radio 2 presenter’s annual earnings are said to be estimated at £3 million. With The X Factor money added into that, seems like O’Leary is set for a nice Christmas! If we were earning that much money, we’d also be pretending to be Superman with wings! Leith became the co-presenter of The Great British Bake Off, after it moved to Channel 4. Previously to being Mary Berry’s replacement, she was best known for being a judge on the cooking show, Great British Menu. The exact salary that the eccentrically dressed judge earns is being kept a secret by those who do know. Apparently, Leith gets paid £200,000 for each series of Bake Off that she appears on. Shockingly, that is around three times more than Berry took home when she was a judge! Peter Kay is best known for being a comedian and for the BBC TV show, Car Share. How can you not love the show? 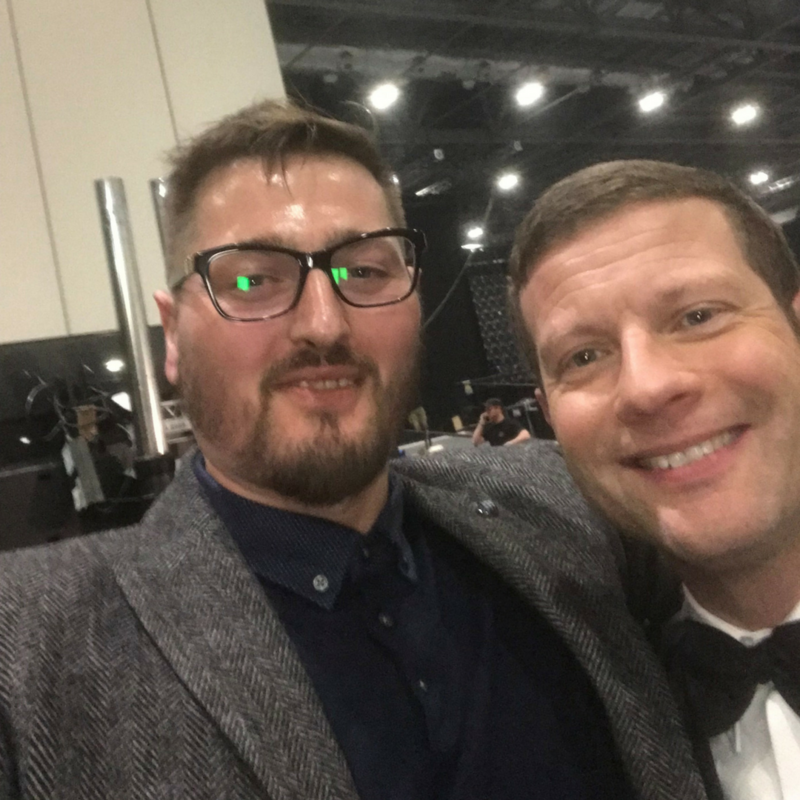 The Bolton-born comedian has also appeared on different TV shows such as Max and Paddy’s Road to Nowhere, with fellow Bolton comedian, Paddy McGuinness. Kay’s various jobs have ended up securing him a net worth of around £66 million. … making the comedian profits of around £32.8 million – that equates to almost £45,000 a day! Shouldn’t his glasses be on his eyes? Is that a black eye we can spot? I wonder what happened there then Peter? You can’t exactly talk about one Danny Dyer without discussing the other one can you! The famous actor’s daughter, who also aspires to be an actor, rose to fame on 2018’s Love Island. She ended up winning the series – don’t even try and complain about spoilers – with her boyfriend, Jack Fincham. We already know that the lovebirds have £50,000 between them – it was the prize money! But after all of her brand deals and sell out clothing range, Dyer (junior) is estimated to be paid around £5000 for one instagram post! Unfortunately, their journey together has been rocky and come to an end! Sad face :(. With everything that has come to light this year, it would appear that Dec is the angel of the famous TV duo. The pair appear together in everything – well, they did – so it’s only right that Donnelly is also worth £62 million; the exact same as Ant! However, that’s bound to not last, with his side kick having to take a time out from presenting I’m A Celeb. Not only are the pair famous TV presenters, they apparently also have investments in property. Rumour has it that they both own properties that are worth £10 million when added together! Hopefully Dec will have a good time in the jungle with old friend, Holly Willoughby. This Britain’s Got Talent judge has been with the show since it first aired back in 2007. However, she isn’t just a judge, as she has also acted in the ITV series, Wild At Heart and on stage. All of her projects have added up, and she is said to be worth £6 million. In the first series of Britain’s Got Talent, the blonde beauty is rumoured to have earned just short of £1 million. However, she now ‘only’ gets around £500,000 for the same job! Why so stingy Simon? Who’d have thought you get paid so much for sitting on your bum and critiquing people? Any openings? The comedian has become a household name thanks to being a presenter on the show, The Great British Bake Off. Fielding, along with Sandi Toksvig, replaced Sue Perkins and Mel Giedroyc as the presenters of the show. It has been reported that Fielding gets around £200,000 per series – same as Prue Leith! How on earth does a presenter get the same amount of money as e? Personally, I don’t think that makes any sense. But Toksvig apparently gets more than anyone else! Wouldn’t that mean that she also gets paid more than the long time judge Paul Hollywood?! … who would pay her £4 million over the four years! With her husband’s worth too, that’s quite a lot. Lampard took over from Holly Willoughby on Dancing On Ice from 2012-2014 – which equated to three series. It’s been rumoured that the Northern-Ireland born presenter earned £400 each minute for the role! 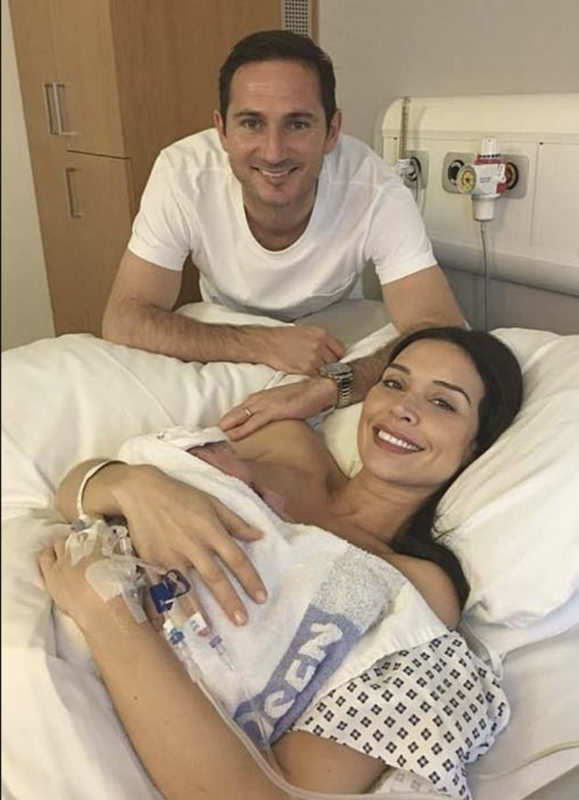 In September of this year, the pair welcomed a baby girl, Patricia, after Frank’s mother. That will be one very spoiled baba. Fincham is one half of this year’s Love Island’s winners. His dad isn’t famous like Dani’s! He has at least £25,000 to his name – if we assume that him and Dani have split the money equally. Some money experts predicted that the winners could earn £2.5 million when leaving the villa. The pair are said to earn absolutely millions, with appearances, brand deals, and, sponsored posts included. And with the supposed reality show in the works, their bank accounts are going up and up. Only time will tell just how well the 2018 Love Island winners end up doing, unfortunately it will be separate earnings from now! Our favourite blonde bombshell is one of the best known faces on day time television. Looks a lovely holiday that! It has been reported that the This Morning presenter is worth a mind boggling £10 million! However, she didn’t get to where she is now without her fair share of drama! It has been reported that her This Morning and Dancing On Ice co-presenter, Philip Schofield, used to earn £200,000 more than her! The issue has now been rectified and the pair are now paid the same amount for both shows. Can we get an amen?! 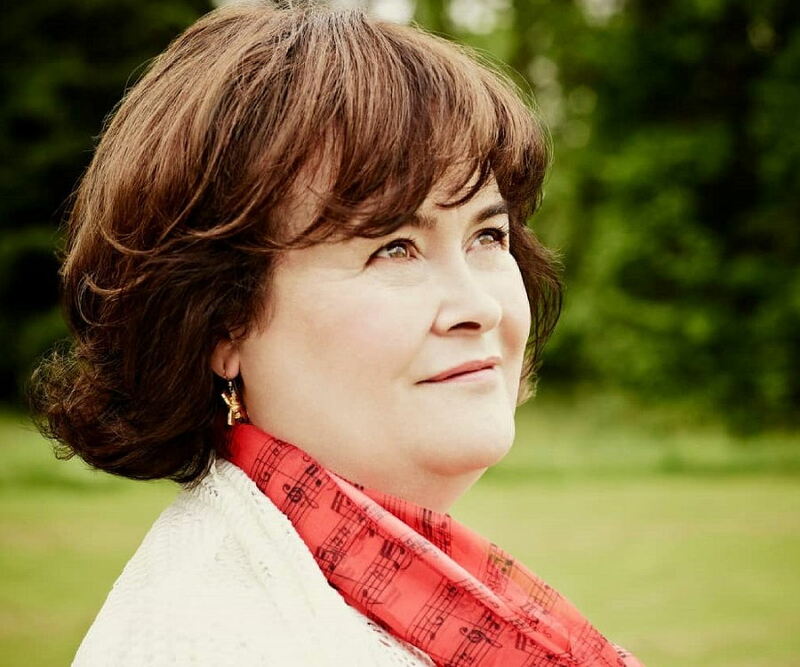 Scottish born singer Susan shocked the nation when she walked onto the Britain’s Got Talent stage in 2009 and belted out a poignant rendition of ‘I Dreamed a Dream’ from Les Miserables. She then went on to win the show. Upon winning, her album shot off the shelves and during that first year, Boyle is said to have earned an impressive £6.2 million. Despite her wealth, Boyle is said to continue to still live in her childhood ex-council house home. In 2012, Boyle publicised that she had been diagnosed with Asperger’s Syndrome and she has recently been noticeably absent from our TV screen. But she has hit the headlines again lately and is set to release a new album at the end of this year. With a reported estimated net worth of £25 million, this is only set to grow further once her new album hits our shelves.